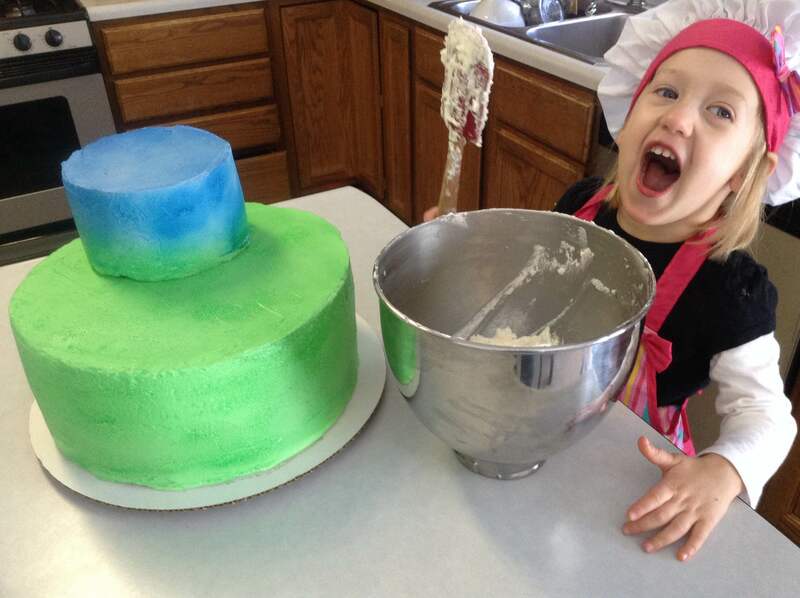 Introducing Kids in the Kitchen–our monthly contest for mini cooks! 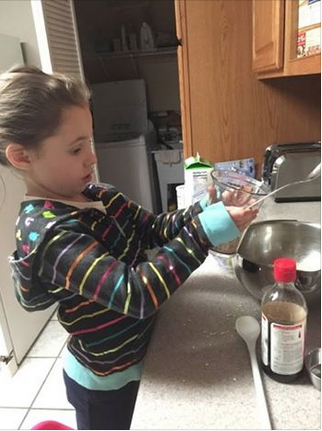 No doubt one of the best ways to teach kids healthy habits is to seek their help in the kitchen. 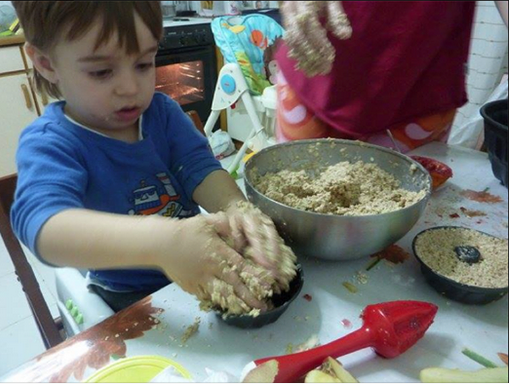 Each month in this newsletter we will feature on lucky little chef cooking or baking. Send photos and or a recipe on our Facebook page to enter. All chefs will be featured on our blog, and the winner will be featured in our e-newsletter (plus, he or she will receive an Amazon gift card!). More cake is on Anthony’s hands than in the pan! We are very excited to expand our practice with the addition of Gia Diakakis, MS, RD, LDN, CNSC, an outstanding dietitian professional whose wonderful rapport with children is apparent from the start. Gia joined Feed to Succeed officially in February, after several months of working intermittently with Betsy. Prior to this, Gia worked at Rush-Presbyterian – St. Luke’s Medical Center as a neonatal/pediatric nutrition support team dietitian. There she was responsible for parental nutrition and enteral nutrition along with diet management of weight loss, weight gain, diabetes mellitus, cystic fibrosis, muscular dystrophy, GI disease (including inflammatory bowel disease) food allergy and more. She brings this great depth of knowledge and experience to Feed to Succeed clients. 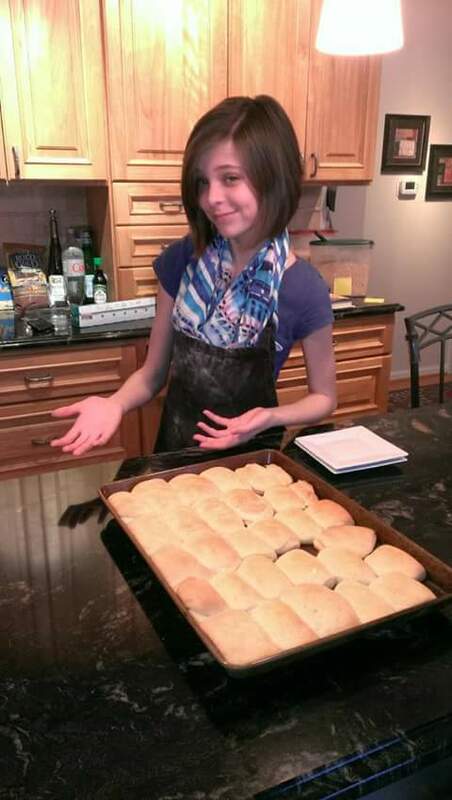 Since visiting a nutritionist in high school, Gia knew it was a field she wanted to explore. “Nutrition has always been a big part of my family life. Both my parents were born in Greece. My Dad owned fresh produce grocery store, so we had very little processed foods,” says Gia. Now that she’s a practicing nutritionist herself, Gia says that working with kids is especially rewarding. When she is able to help a client with complex issues gain weight or start eating solids for the first time, Gia sees the direct impact of her efforts. And for clients with less complex issues, the effort is no less rewarding. “People underestimate how powerful and impactful diet can be,” Gia says. Gia tries to encourage small steps to lead to big improvements in clients’ lives. Two small changes at a time, like drinking more water at school and eating more fruit, can lead to more lifestyle changes. Attainable goals lead to real outcomes. 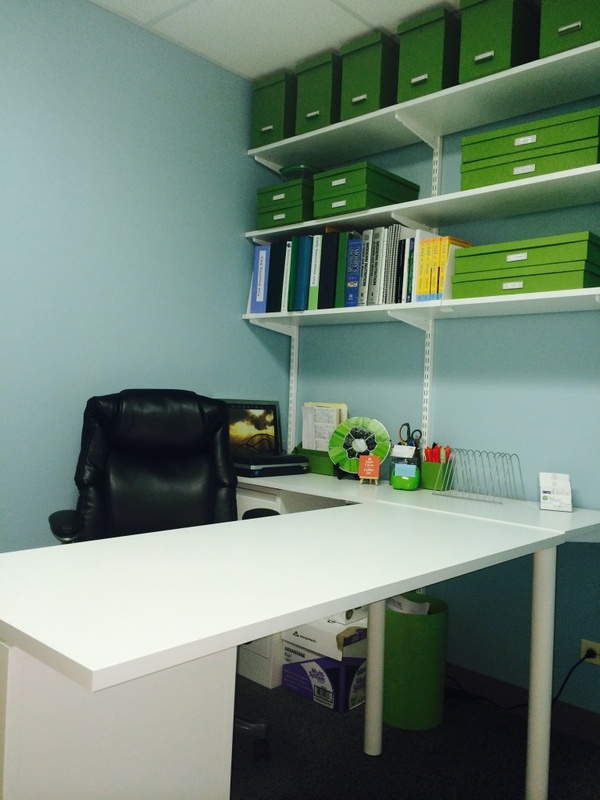 We are thrilled to announce our new location on West Lake in Glenview! 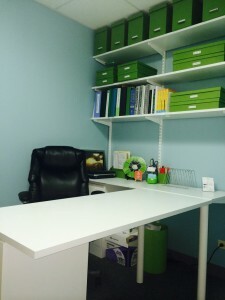 After six years of sharing a space with another health professional, we now have an office of our own. 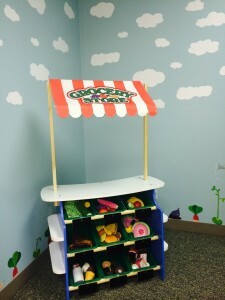 Together with Dr. Suzanne Nelson of Children’s Gastroenterology Specialists, Feed to Succeed is now located at 3633 West Lake Ave., Suite 103 in Glenview. Our space is larger, kid friendly and close to Glenbrook Hospital. Clients who need to access a lab can quickly reach one at the nearby hospital. Can’t wait to see you here soon! 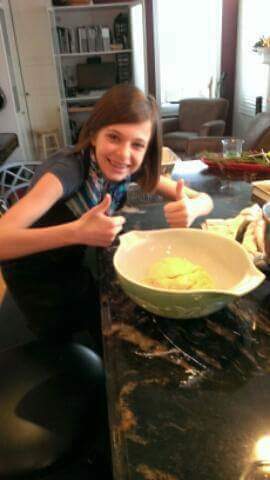 https://feedtosucceed.com/wp-content/uploads/2015/01/IMG_14791.jpg 768 1024 feedtosucceed https://feedtosucceed.com/wp-content/uploads/2013/04/fts_logo2-300x138.png feedtosucceed2015-03-10 02:10:422015-03-10 02:16:25We Moved! While the idea doesn’t apply as well to me—coming from a family from a village high in the mountains of Greece (thus eliminating most foods around me)—I nevertheless understand the message loud and clear. Many food items available are packaged, shelf stable and convenient, bearing little resemblance to the food generations of grandparents before us ate. 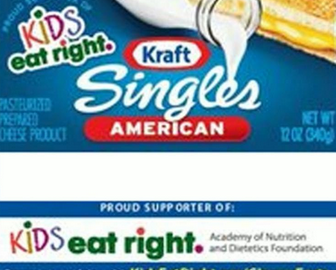 As a nutritionist, eliminating packaged and processed foods has always been something I recommend, but I sometimes struggle to provide strong enough evidence to convince families to eliminate them from their diet. Before I continue, let me explain what dietary emulsifiers are. Dietary emulsifiers are substances that are added to food items to prevent separation. You can think of them as thickeners or stabilizers. They are substances that help ice cream stay creamy, pasta sauces stay thick, cookies stay soft and salad dressings remain mixed. Picture salad dressing from the store. They are often perfectly uniform in color, with no separation. Now imagine your homemade balsamic vinaigrette. While delicious, it quickly separates into two layers: an oil layer and a vinegar layer. The difference in these two items is emulsifiers. In reading this new journal article, many things I was always unable to put into words were suddenly right in front of me. Dietary emulsifiers (specifically CMC (carboxymethylcellulose) and P80 (polysorbate-80) were found to promote colitis and metabolic syndrome. A few additional findings included impaired blood glucose control and increased bacterial adherence in the bowel. These emulsifiers were called “detergent-like molecules” to the gut which really put it into perspective for me. They impact gastrointestinal health and metabolic health–two separate systems, both equally important to our overall health. I can go on and on about this but what’s my bottom line? While this research is new and hot, the end message is the same as one I have always said. Eat as much fresh and whole food as you can and try to limit processed foods. If something doesn’t spoil relatively soon after purchase, don’t eat it. Be aware of what you’re putting into your body.